Once spring and summer are out of the way, it can be tempting to think about leaving a good thorough home clean until the new year – ‘spring cleaning’ and all of that – but we have to remember that the autumn and winter months are host to some of the busiest times on the calendar, when we’re likely to see more guests, friends and family members than the rest of the year put together, at least on average. For that, you have celebrations such as Halloween, Bonfire Night and of course Christmas to thank – as well as New Year – and this, of course, means that it’s time to get your home looking great in preparation for a flurry of guests arriving on your doorstep! But where do you start? If you’re the sort of person who is likely to be big on entertaining, you may look to start with the lounge – it’s one of the most high-traffic areas of any given home, and it’s often where most parties take place in inclement weather. While Bonfire Night and New Year celebrations may be likely to take place outside, it stands to reason that you need to make sure your living room is looking primed and ready to host all manner of colleagues, long lost friends and family members. This means considering deep carpet cleaning, thorough dusting and even ironing – to make sure that all of that pesky laundry is bundled up and out of the way, of course! Beyond this, the kitchen can often be a big part of all of these celebrations. Some parties start or spill over into kitchen spaces – and some are big enough to host buffets or drinks receptions – meaning you should never skimp on keeping those worktops and utilities sparkling clean! 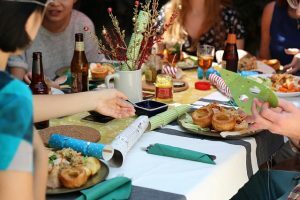 It also makes sense that you have a clean and tidy workspace should you wish to make an effort on cooking over Christmas and New Year – and if you wish to treat your guests to a fantastic buffet or spread. The main issue is – where are you going to find the time to fit all of this in? This, luckily, is where Sams Cleaning and Ironing Services can come in – and can really help you out. Sams Cleaning and Ironing Services are an online agency for talented cleaning professionals – offering carpet cleaning, event cleaning, kitchen and domestic cleaning as well as deeper cleans – meaning that you won’t ever have to lift a finger. Get in touch with one of our talented professionals and you will have more time to attend to hosting the perfect party over the festive seasons ahead – fantastic news for anyone who is already struggling to balance their own time with household chores and deeper cleaning! 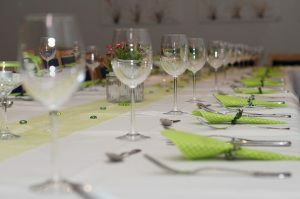 Don’t let your upcoming events and gatherings suffer due to cleaning woes – let us handle your chores and household tasks in a manner you can be proud of. Email us or call 07712 227517 for more details and get in touch to learn more!